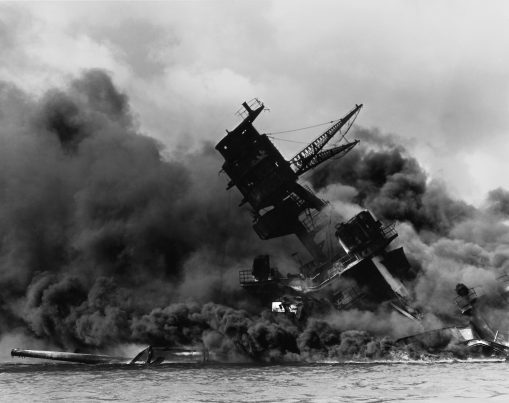 (NationalSecurity.news) Just before 8 a.m. on December 7, 1941, hundreds of Japanese fighter planes attacked the American naval base at Pearl Harbor near Honolulu, Hawaii. The barrage lasted just two hours, but it was devastating: The Japanese managed to destroy nearly 20 American naval vessels, including eight enormous battleships, and more than 300 airplanes. More than 2,000 Americans soldiers and sailors died in the attack, and another 1,000 were wounded. The day after the assault, President Franklin D. Roosevelt asked Congress to declare war on Japan; Congress approved his declaration with just one dissenting vote. Three days later, Japanese allies Germany and Italy also declared war on the United States, and again Congress reciprocated. More than two years into the conflict, America had finally joined World War II. Enjoy learning about the battle, as well as remembering – and honoring – the Americans who fought and died there. © 2016 USA Features Media.